Whenever somebody decides to use a service, it takes a huge leap of faith to trust them with your data. As a service provider, even once you gain that trust from your customers, you still have to keep working at it, to keep their concerns at ease. 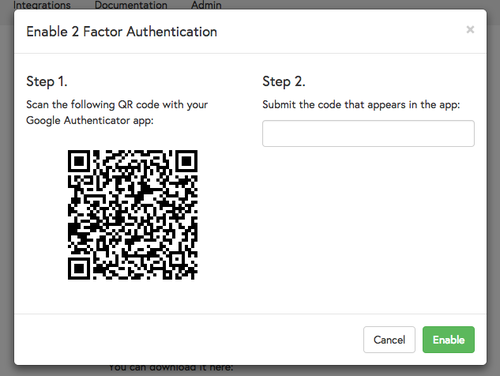 Therefore it’s very exciting to announce that Doorbell now supports 2 Factor Authentication. 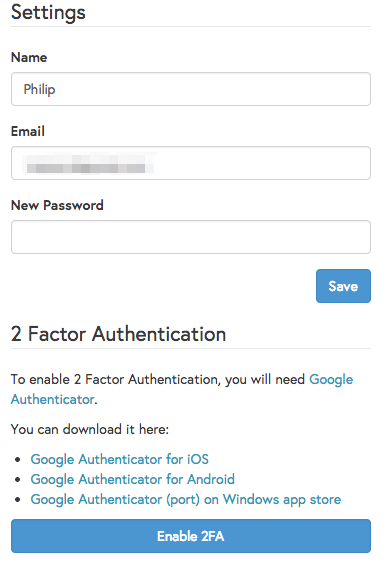 Powered by Google Authenticator, you can now secure your account and require an extra step to log in. Following the steps there, you will now have 2 Factor Authentication enabled. Be sure to save the single use backup code, which can be used to disable 2FA should you lose your device! 2 Factor Authentication is available for everyone for free, since security should be a pre-requisite for every service, not a premium feature! PS You can keep up to date either via this blog, or you can follow Doorbell on Twitter.